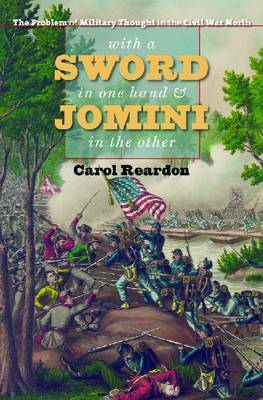 In three succinct chapters, Ms. Reardon examines the public debate that exploded in the North over what military strategy would best defeat the Confederacy; the characteristics that made the best commanders; and the human element of war, a topic largely ignored by the military theorists of the day. Her conclusions are based on voluminous research into archival material, newspapers and periodicals, contemporary and historical works on military theory, and a prescient sampling of today’s rich Civil War historiography. In the North a “cacophony of voices,” professional and amateur, inundated the Lincoln administration and the general public with detailed conceptual frameworks and hair-brained schemes, all designed to bring the war to a swift and successful conclusion. Unfortunately, no strategic Rosetta Stone materialized. Finally, Ms. Reardon uses the Overland Campaign to assess how Union commanders painfully learned that victory doesn’t always lie with the best plan or the biggest battalions. Effectiveness against the enemy also depended on the physical, mental, and emotional state of the men in the ranks, a reality learned “at a high cost from practical experience.” These are issues still debated among military strategists today.